As someone who loosely considers himself a marketer, I’m seeing a group of info-marketers that are quickly becoming dinosaurs. Their refusal to change will ultimately lead to their extinction. One of the most popular marketing approaches for lazy people is setting up a landing page only — often with Lead Pages — and running ads to it. No website otherwise. Just a landing page to sell or get opt-ins. They do it for their own businesses. Sometimes, they are agencies who do it for their clients. If you are such a client, run. The truth is you’re probably screwed. And the reason for that is you thought playing the short game was enough. But when the well runs dry, your options become limited. Those who build their business around a landing page only need to look at that approach through the user’s perspective. Put yourself in the user’s shoes. You’ve been sent to a landing page. You’ve never heard of this brand before. You’ve never read their content. The only evidence that they know what they’re talking about is a sales page boasting how great they are. That’s not going to be enough for most people. Where is an article that they’ve written before that you can read? Where is a directory of content they’ve written on this topic? Anything? Nope, just a long page selling you HARD on something. Making lots of claims. And you just don’t buy it. But let’s click around the website to learn more about this company. Maybe an About page at least. Wait… They Have No Website?? You’re supposed to trust a company that doesn’t even have its own website? They didn’t invest in themselves, why should you invest in them? 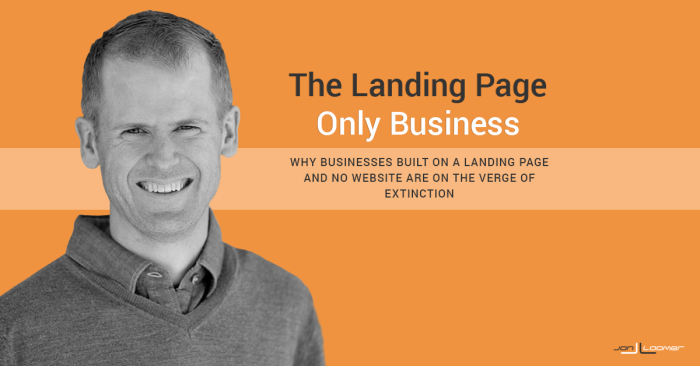 Building a business with a landing page only is cutting corners. It’s reserved for the get-rich-quick crowd — or the get-whatever-I-can-for-very-little crowd. A website with content that isn’t always selling is evidence that you know what you’re talking about. That registering for that webinar might actually have value. That buying that ebook may actually provide some answers you are looking for. 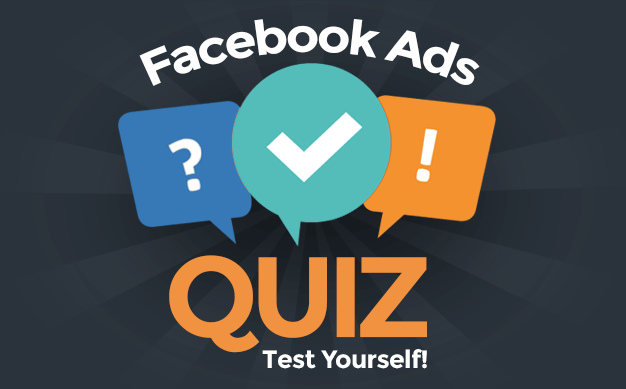 How Do You Drive Traffic Without Ads? Here lies a big problem with building a business around a landing page only: When you turn off your ads, traffic dries up. Oh, I know the answer is that “we share links to social media, too.” Come on. All you do is push that one link to social media. You offer nothing of value. Why would anyone click it? Since you can only drive traffic via your ads and you have only one page of “content” (used loosely), Google sure won’t love you. So don’t expect anything to get sent your way organically. I also question how well you can actually build an email list with this approach. And when you do, what kind of information are you actually sending them via email?? Great! Thanks for subscribing to my webinar! Now I’m going to send you six months of emails begging you to buy my product. When I turn off my ads, I still get traffic. I get a lot of traffic. In fact, a very small percentage (under 5%) comes from my ads. Most comes from Google, email (my list is approaching 100k), organic on Facebook or from other sources. How Do You Build a Relevant Audience? If you’re building your business through a landing page, your goal rests entirely on that conversion. But whom do you target? When I’m selling something or trying to get an opt-in, I target a large number of people who visit my website. They know who I am. They know what to expect. With a landing page only, you focus on interests. When that doesn’t work, then what? This is where the short game can cripple a business. You are putting everything into that short-term gain. But when it no longer works, you have nothing — no more conversions, no more traffic and no audience to target. Sure, you have a SMALL amount of traffic that you could technically retarget. And you have that email list (that was likely built expensively) that you could message. But what of value can you give them to get return business? How can you get them to keep coming back? When you create an ad promoting an opt-in or product to a cold audience, you’ll be pretty lucky to get 1% of those people to click it. But let’s assume you do. Of that 1%, a majority of them won’t convert. Those who didn’t convert may have eventually, but you lost them for good because you have nothing else to offer. Of the other 99% who didn’t even click, you are missing opportunities. They didn’t click now, but they had the potential to click eventually. That’s why it’s so much smarter to play the long game. You recognize that your potential customer pool is much larger than just that 1% (or a fraction of that 1%). People are on various levels of readiness to convert. Create content to bring them into your funnel. Expose them to how you can help. That exposure — be it one, two or 100 blog posts — can eventually lead to an opt-in. And that opt-in may just lead to a sale — and potentially many sales. While having a blog doesn’t make sense to every business, I would argue it would help almost all of them. And if you’re in the info-marketing business, not having a blog is downright foolish. What do you think about the “landing page only” approach?